So far, 36 people have	completed this assignment. 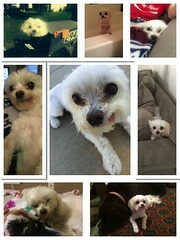 Make a collage out of photos of your pet (or your favorite animal)! Either take past photos or take photos throughout the week that show how cute or how funny they can be! This is my little snuggle muffin! <3 She is the sweetest baby! But also a stinker. She likes chew on the baseboards and go through the trash. But she also loves to dance with you and play ball! Everyone needs a companion… better yet everyone needs a sidekick. Whether that be a person or animal it’s always good to have someone by your side looking out for your best interest and vice versa. This assignment was to show the love for your pet. To do this, you make a collage of funny or cute pictures of your loved animal and that’s it! 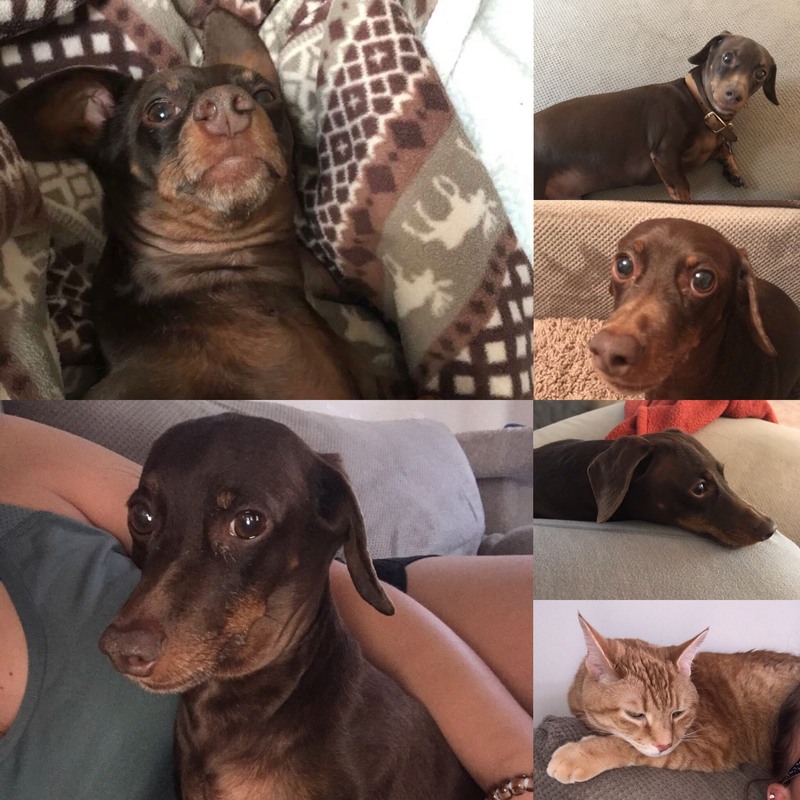 For my next assignment this week I choose to do a pet collage because who dosnt enjoy taking pictures of their goofy pets. I already had plenty of pictures of my pet and and my sisters pet (her dog has play dates with mine). So I didnt have to take any new pictures. One of the assignments that I chose to do was a pet collage so here it is! This is Watson (Rottweiler and Beagle mix) and Mollie (Aussie Shepard). For this assignment, I had to create a collage to show off the love I have for my pet. Because this involves my baby girl Athena (aka Agent A), I jumped at the opportunity. Goodness knows I had more than enough pictures to choose from! The assignment, Visual 1729: Make a collage out of photos of your pet (or your favorite animal)! Either take past photos or take photos throughout the week that show how cute or how funny they can be! From the DS106 Visual Assignment Bank I chose the assignment “”Your Love For Your Pet” (found here). So … I’d like to introduce you all to Koopa! He is a mix between a Pomeranian and a Papillon. He is high energy fluff ball and a cuddle machine. This week was visual week for us so we all had the pleasure of creating visual assignments with a story behind them. My main method was usually photoshop but this assignment was fairly simple and I did not need photoshop, just some creativity. For this assignment I decided to make a collage of my favorite animal: the Fennec Fox. I just took four pictures off of google images and used the app called pic stitch to put all the images together in a collage. Hope you enjoy these adorable little animals!! My animals are cuter than yours! These are my cute and crazy animals! My love for my pets. This assignment consist of taking photos of your favorite animals or your pets. It is worth 3 1/2 stars. 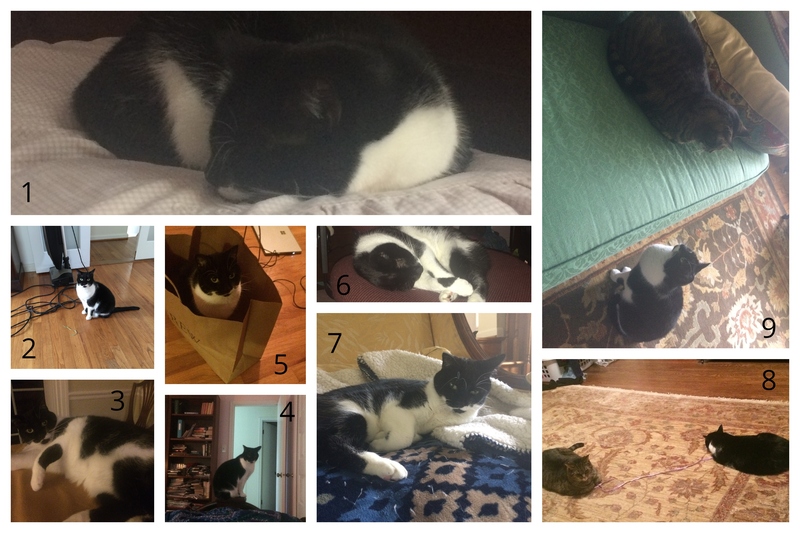 This collage of photos is of my parent’s cat named Sasha! She is an evil old cat that loves attention. The family messes with her all the time but we all love her. The Many Positions of Molly May! I love baby lion, unfortunately i can’t keep a baby lion as a pet in the state of VA; therefore, these our not my pet photos. I downloaded these photos from the google. I used to have a cat, but it got abducted by someone.